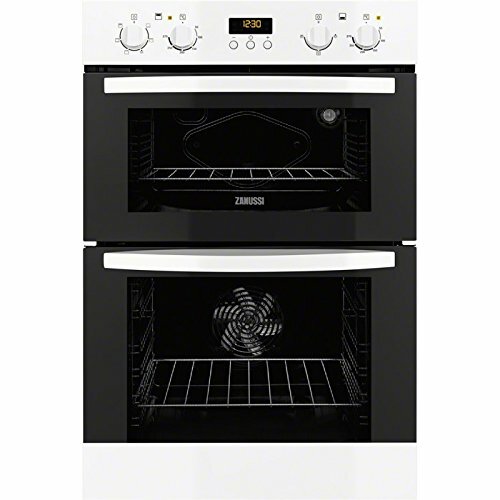 This double oven in clean white gives you the space you need to prepare larger meals thanks to its 68 litre main oven and 43 litre second oven. You can explore the benefits of multifunction cooking - choose fan cooking, heat from the top or bottom elements, or use the combination speed grill and fan to crisp, grill and brown food in the blink of an eye. It's also features the innovative Set & Go function which lets you pre-programme the cooking time, with the oven automatically switching off when it's finished, so you never have to worry about overcooking again.